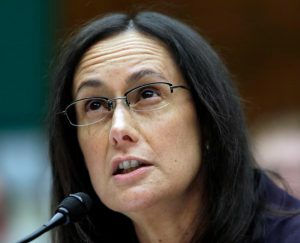 UPDATED – CHICAGO (CNS) — A preliminary report released Dec. 19 by Illinois Attorney General Lisa Madigan shows clergy sexual abuse of minors in the state to be “significantly more extensive” than what the state’s dioceses had previously reported, it said. The report found that in some cases, the state’s dioceses did not conduct proper investigations into allegations of abuse especially when a priest had died, left the ministry or was a member of a religious order. The attorney general’s inquiry into sexual abuse by Catholic priests began earlier this year after a Pennsylvania grand jury report revealed 70 years of abuse allegations in six of the state’s Catholic dioceses, starting in 1947. The report detailed allegations of abuse by 300 clergy and other church workers and involving 1,000 minors. It also claimed a church cover-up of abuse in some instances. In November, the Catholic Archdiocese of Chicago added 10 names to an online list of clergy with substantiated allegations of sexual abuse involving children. “First and most important, we recognize and mourn the grave damage done to the many people harmed by clergy sexual abuse. We will always need to own and express deep regret for the suffering caused both by the abuse and the past failures to respond,” the statement said. Bishop Thomas J. Paprocki of Springfield said in a Dec. 19 statement that the diocese has cooperated with Madigan’s office for several months and assembled its paper files from 1923 when the diocese was formed. “Revisiting the pain caused to victims of abuse has motivated us to redouble our commitments to the reforms undertaken many years ago and to sustain our vigilance,” he added. The Joliet Diocese said in Dec. 19 statement that the attorney general’s preliminary report “draws several aggregate conclusions for the six dioceses.” It said it had not received any indication from the Madigan’s office that it failed to adequately investigate any allegation of abuse and/or report it to authorities. It also noted that the diocese had similarly not been informed that it had any inaccuracies or omissions in its files that would prompt additions or corrections to the list of priests with credible allegations on the diocesan website. All six of the Illinois dioceses have responded with similar statements about the preliminary report. The diocesan statement also said it was “disappointed with the broad-brush approach taken by the attorney general’s report” particularly when it said that healing of victims is not a priority for the dioceses. “That conclusion is contradicted by our policy and practice of offering and paying for counseling to individuals who report an allegation,” the statement said.